COEUR D’ALENE, Idaho, June 14, 2011 (ENS) – A Superfund lawsuit originally brought 20 years ago by a tribal government against a giant mining company was settled Monday in favor of the tribe, the United States and the State of Idaho, resolving one of the largest cases ever filed under the Superfund law. Under the settlement, Hecla Mining Company will pay $263.4 million plus interest to the Coeur d’Alene Tribe, the United States and the state of Idaho to resolve claims stemming from releases of wastes from its silver mining operations. 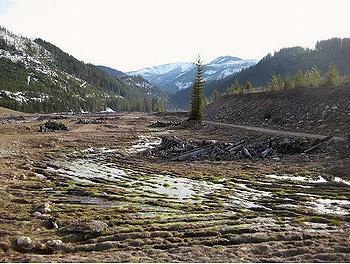 The lawsuit sought damages for injuries to natural resources such as clean water, fish and birds caused by millions of tons of mining wastes that had been released into the South Fork of the Coeur d’Alene River and its tributaries. Settlement funds will be dedicated to restoration and remediation of natural resources in Idaho’s Coeur d’Alene Basin at the Bunker Hill Superfund Site, one of the nation’s largest and most contaminated. At one time, the Upper Basin, or Silver Valley, was one of the largest silver producing districts in the world. As a result, the basin has been contaminated by the release of metals like lead and arsenic, which are widespread. EPA began cleanup at the site in the 1980s, focusing on protecting human health. Although measurable improvements in public and environmental health have been achieved, widespread contamination remains a challenge and cleanup work will continue for many years. Lodged in federal district court in Idaho Monday, the settlement brings closure to that lawsuit and establishes a basis for future cooperation between Hecla and the governments in the Coeur d’Alene Basin. The lawsuit was originally brought against Hecla and other mining companies by the Coeur d’Alene Tribe in 1991 and was joined by the United States in 1996. The State of Idaho joined the lawsuit on Monday to participate in the settlement and resolve its own claims against Hecla. The settlement includes a process for coordinating Hecla’s future mining operations with cleanup activities in the Coeur d’Alene Basin. Established in 1891, Hecla Mining Company is the largest silver producer in the United States. Prior to reaching this settlement with Hecla, the United States, the tribe and Idaho had settled their claims against other defendants named in lawsuits regarding historic mine releases in the Coeur d’Alene Basin. History of the current case includes a 78-day trial in 2001 by the United States and the tribe against ASARCO and Hecla on liability issues. ASARCO, the other primary defendant named in the lawsuit, reached settlement with the United States in 2008 while it was emerging from Chapter 11 bankruptcy. After the ASARCO settlement, U.S. District Judge Edward Lodge postponed the second phase of the trial against Hecla to allow time for a settlement with Hecla. 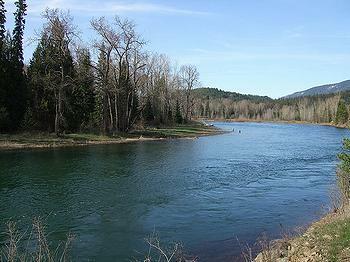 “This agreement will help pay for the U.S. government’s clean-up activities, secures natural resource damages, and will restore critical habitats to fish and wildlife in the Coeur d’Alene River Basin.” said Ignacia Moreno, assistant attorney general for the Environment and Natural Resources Division at the Department of Justice. “This settlement brings decades of litigation to a close and provides a clear path to continue restoring the health of the environment, economy and communities of the Coeur d’Alene Basin,” said Idaho Governor C.L. “Butch” Otter. Seventy-five percent of the recovery funds will be used for response actions at the Bunker Hill Superfund Site. The remaining amount will fund natural resource restoration projects, the EPA said in a statement. The federal agencies responsible for the affected natural resources see this settlement as an opportunity. “This settlement provides substantial funding that the trustees will use to restore habitat for fish, birds and other natural resources that have been injured for many decades by mining wastes,” said Rachel Jacobson, acting assistant secretary for Fish, Wildlife, and Parks at the U.S. Department of Interior. The consent decree, lodged in the U.S. District Court for the District of Idaho, is subject to a 30-day public comment period and approval by the federal court. Click here for a copy of the consent decree.